EXCLUSIVE TO IT'S JUST CRICKET! Designed by It's Just Cricket. AVAILABLE WEIGHTS: 2lb 8oz & 2lb 9oz. Handmade in Yorkshire, England, by Master craftsman, James Dollive, using traditional methods. Made from the finest, hand-selected Grade 1 English Willow. Low Middle - ideal for front foot play and use on slow and low pitches. Full, Convex Profile - creates a very wide sweet spot. Slightly Bowed Blade to enhance pick-up. Thick Edges (35-39mm depending on weight). Natural Finish (no anti-scuff sheet). 3D Embossed Chrome & Gold Decals. 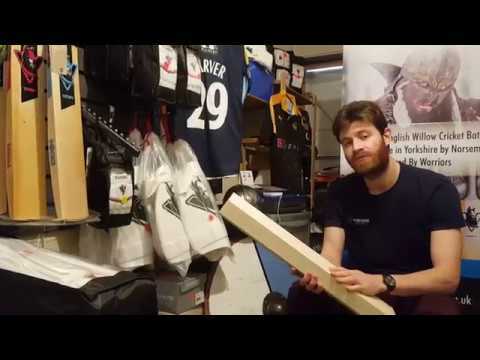 Designed by the team at It's Just Cricket, incorporating feedback from thousands of customers, and handmade in Yorkshire, England, by Viking's master craftsman, James Dollive, "The Gold" Cricket Bat is steeped in cricketing wisdom and expertise. Made only from the very best, hand selected Grade 1 English Willow, "The Gold" Cricket Bat truly is "luxury redefined" and features a full, convex profile, which creates a very wide and forgiving sweet spot. The low middle makes it ideal for front foot play and use on slow and low pitches. 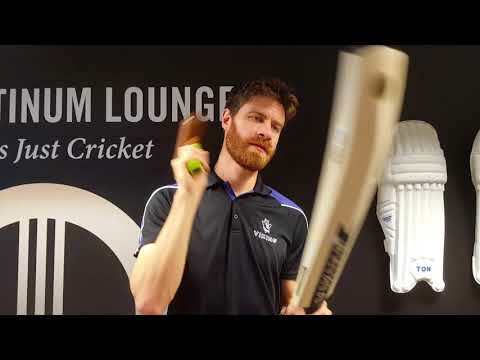 Available only through It's Just Cricket, and in very limited numbers, this exclusive cricket bat provides a rare opportunity to own a cricket bat that is wholly designed with the customer in mind. With the same heritage and care as The Gold by It's Just Cricket, the Gold is an opportunity to own a handmade, hand-designed bat, from handpicked willow, at a wallet friendly price.